Occipital nerve blocks ensure longer and effective pain relief for patients experiencing headaches associated with occipital neuralgia and nerve compression due to neck anatomical problems. The nerve block is also beneficial for patients with recurring cluster headache. With over 90 percent success in pain relief, occipital nerve blocks provide respite to patients between six to 15 weeks on an average. 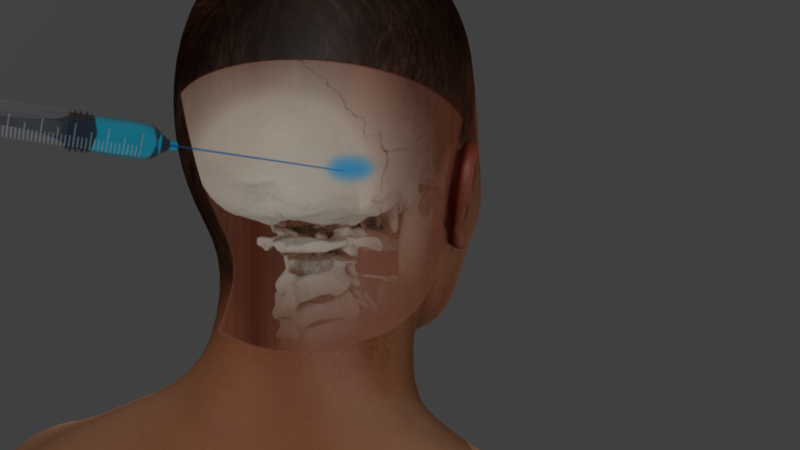 Occipital nerve block is a procedure performed at Seattle pain clinics to suppress chronic headache originating in the greater and lesser occipital nerves located on both sides of the spine at the base of the skull. It involves administration of numbing medication to these nerves inhibiting their ability to carry pain sensation. At the back of the skull above the neck, occipital nerves carry sensation to the scalp and a portion of back and top head. When these spinal nerves are irritated or inflamed due to certain medical conditions, patients experience chronic headache with source in the neck or base of the back head. The pain starts on one side of the skull base and radiates to forehead and other areas. Occipital nerve blocks numb these nerves and prevent transmission of pain signals by them ensuring relief from head pain for a longer period. What is injected during occipital nerve blocks? 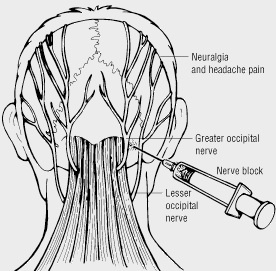 Occipital nerve blocks with Seattle pain management doctors use local anesthetic injections with or without a steroid. Lidocaine and bupivicaine are most used numbing medications while the corticosteroid element may include betamethasone, depomedrol or any other. How do occipital nerve blocks work? Greater and lesser occipital nerves are targeted during the block. Injections help numb irritated or inflamed nerves and prevent flow of pain signals. Steroid reduces inflammation and soothes the irritation of nerves. When is occipital nerve block required? Patients undergo occipital nerve blocks either to diagnose if the pain is due to inflammation in these spinal nerves or to treat migraine, occipital neuralgia, cluster headaches and similar pain in the head. What conditions are treated using occipital nerve blocks? Pin and needle pain sensation linked to occipital neuralgia or squeezing of occipital nerves. How effective are occipital nerve blocks? A follow-up trial highlights 96 percent success in relieving occipital neuralgia headache over six months. Researchers are also unanimous on the point that pain relief prolongs with increase in number of injections. Occipital nerve block is helpful in reducing severity, intensity and frequency of headaches. The result lasts for two months in most of the patients. How is occipital nerve block done? There is no need for any local anesthesia or IV sedation. However, it depends on Seattle pain doctors to use them to numb the targeted area considering the patient conditions. A small needle is put into the area just below the scalp. The numbing medication with or without steroid is inserted in to the trunk of the occipital nerve. Blocks can be performed on both occipital nerves at the same time. Performed in an outpatient setting, it takes 10 to 15 minutes. The scalp side goes numb immediately relieving headache. Patients are discharged after a brief monitoring. Some patients may experience dizziness or soreness in the neck. It is best to have rest for the remainder of the day and join daily works next day. When will I have pain relief? 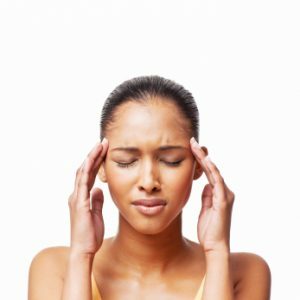 Headache relief is immediate due to the presence of the numbing medication. But the real effects are visible in a day or two once the inflammation subsides and the reprieve continues for weeks to months. Patients experience freedom from headache for six to 15 weeks on an average. The degree of relief and duration depends on individual conditions. There are instances where significant respite from headache continues up to six months after having a sitting of occipital nerve blocks. How many occipital nerve block injections should I have? The effect of occipital nerve blocks wears off with time. Though patients undergo radiofrequency ablation to have long-duration pain relief up to a year, the impact reduces gradually. Doctors suggest repetition of the procedure depending on patient health and medical condition. What are the side effects of occipital nerve blocks? Occipital nerves blocks lead to temporary soreness at injection site. However, error by doctors may cause bleeding, bruising, dizziness, brain fluid leak, damage to nerve and skull and infections. Those taking blood thinners or have allergy to steroid should avoid the therapy. Ward JB. (2003). Greater occipital nerve block. Semin Neurol. 23(1):59-62. Vanelderen P, Lataster A, Levy R, Mekhail N, van Kleef M, & Van Zundert J. (2010). Occipital neuralgia. Pain Pract. 10(2):137-44.